imaginary. objective. 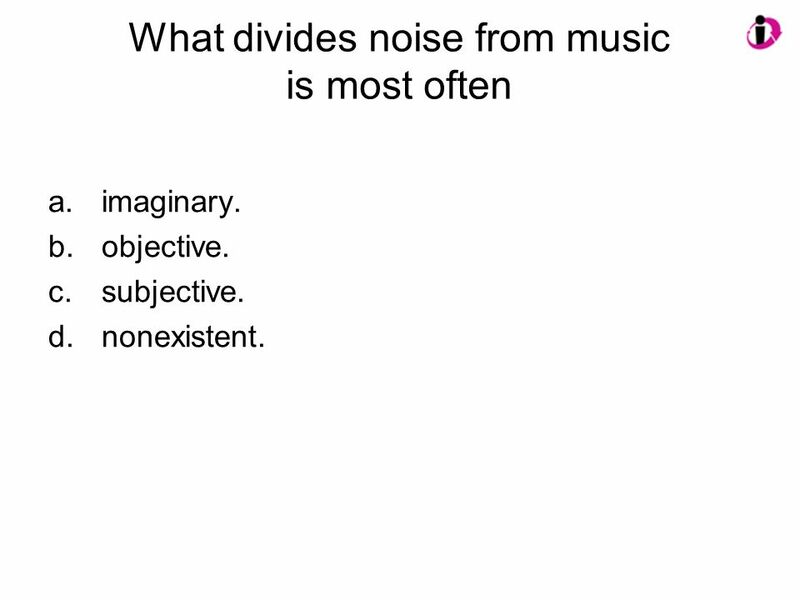 subjective. nonexistent. 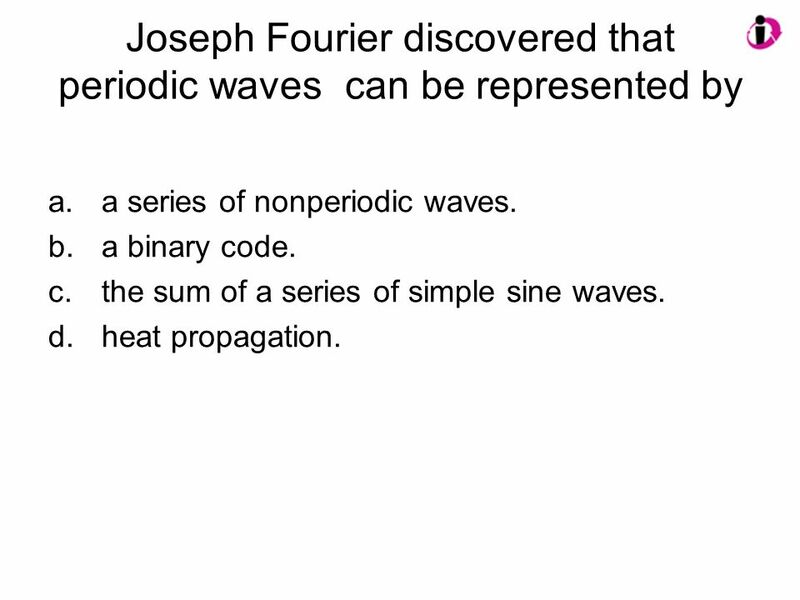 Answer: C Explanation: Although the two can be discerned electronically, most often subjectivity is dominant. expands. decreases. Both of these. None of these. Answer: B Comment: Looking for a career that will likely grow? 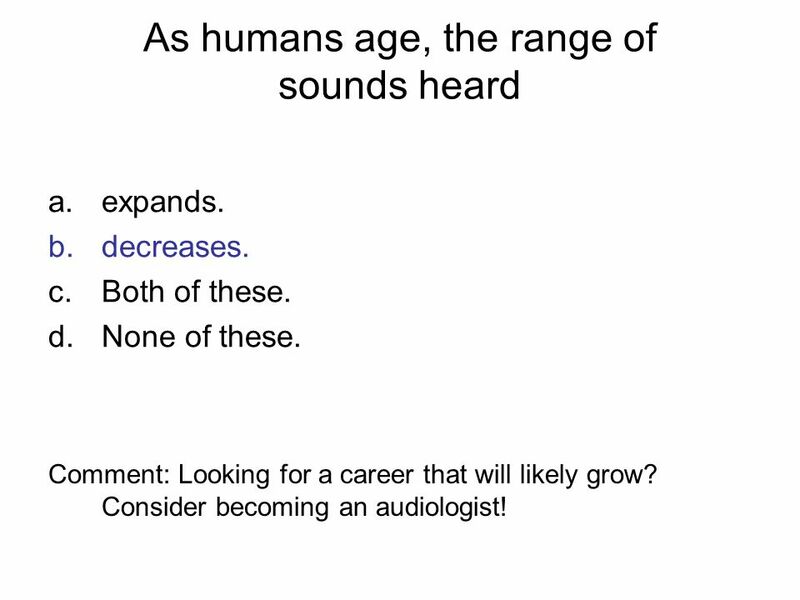 Consider becoming an audiologist! low frequencies. long periods. Both of these. None of these. 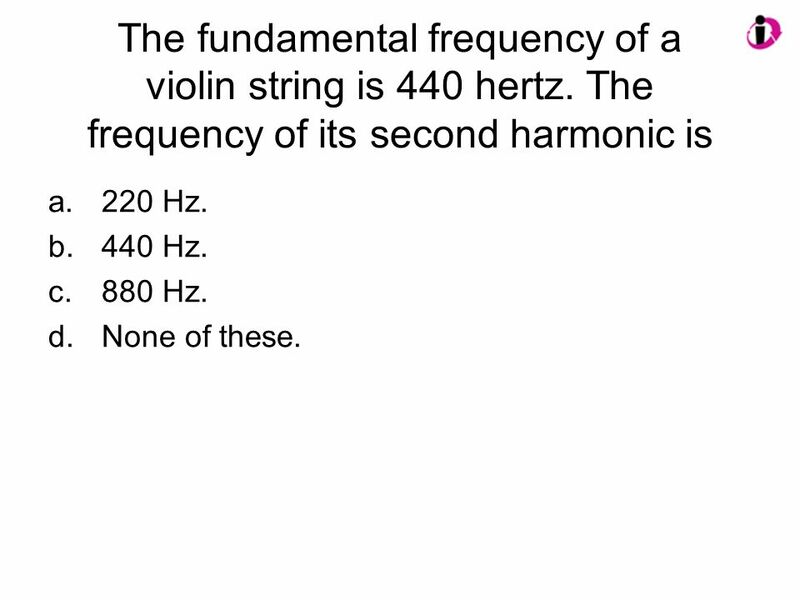 Answer: C Explanation: A low frequency has a long period. If you missed this, be careful in answering too quickly. 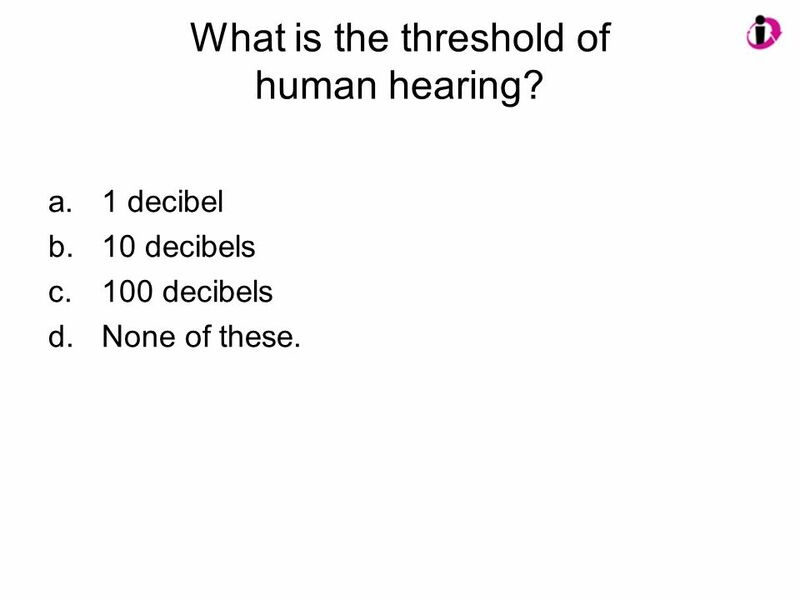 22 What is the threshold of human hearing? 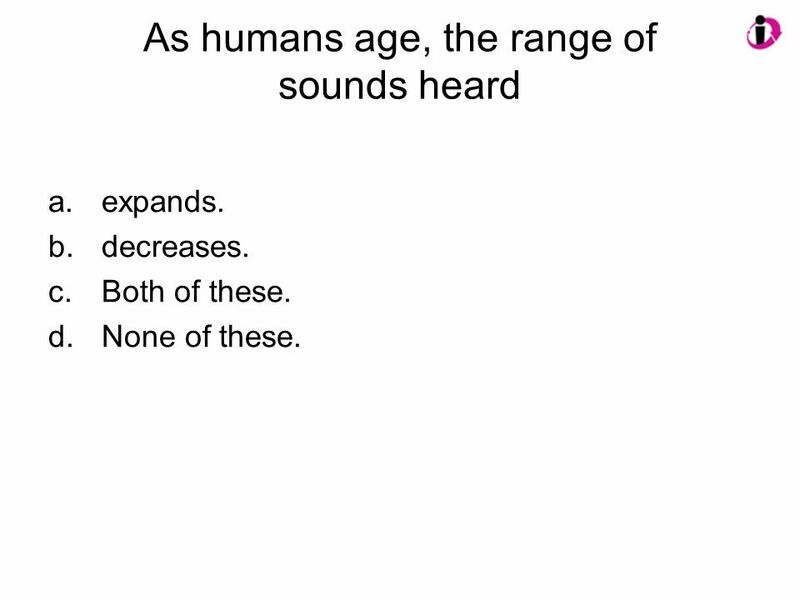 23 What is the threshold of human hearing? 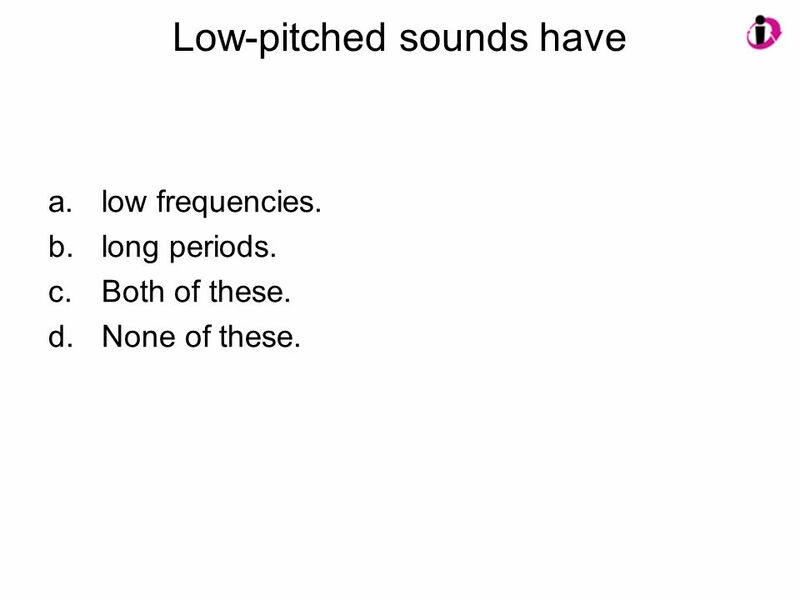 1 decibel 10 decibels 100 decibels None of these. 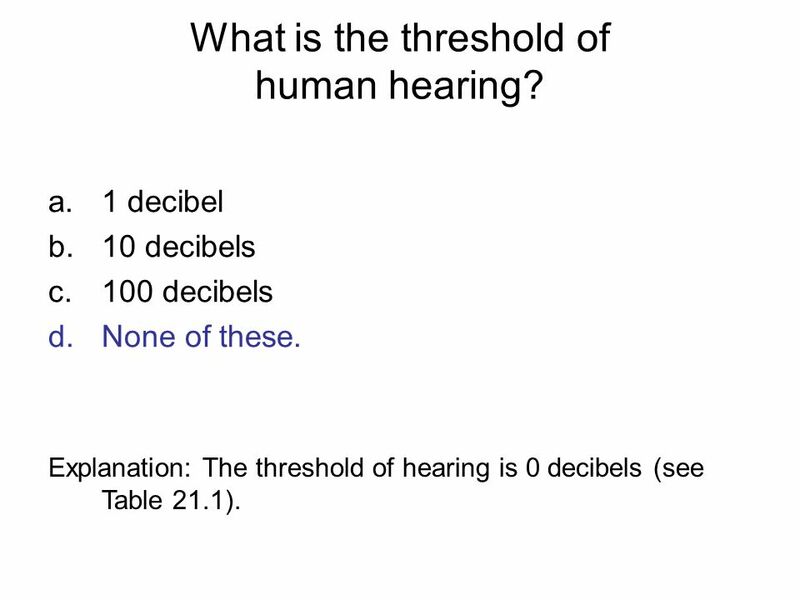 Answer: D Explanation: The threshold of hearing is 0 decibels (see Table 21.1). twice as intense. 10 times as intense. 100 times as intense. 1000 times as intense. 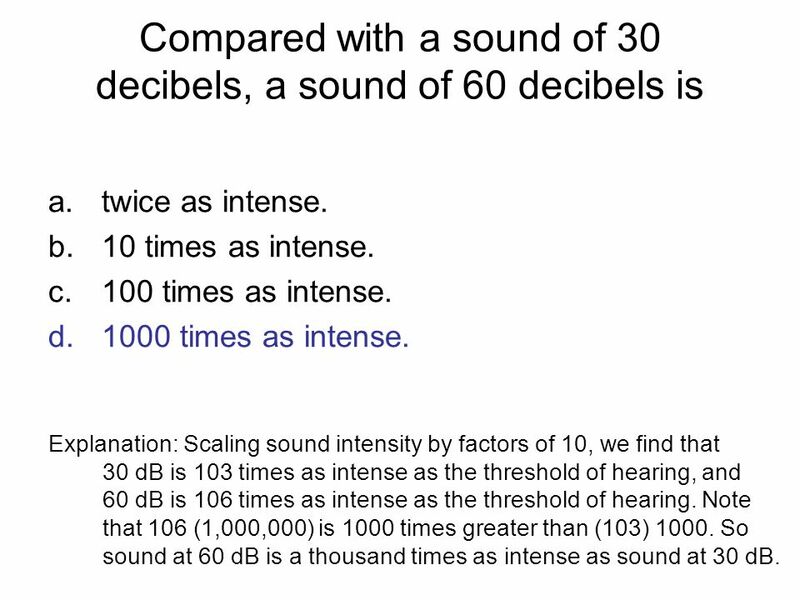 Answer: D Explanation: Scaling sound intensity by factors of 10, we find that dB is 103 times as intense as the threshold of hearing, and dB is 106 times as intense as the threshold of hearing. 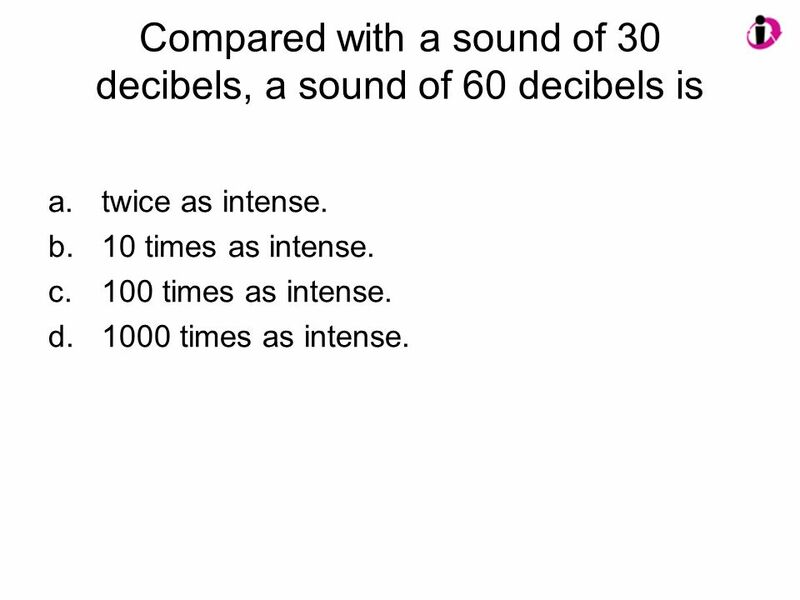 Note that 106 (1,000,000) is 1000 times greater than (103) So sound at 60 dB is a thousand times as intense as sound at 30 dB. 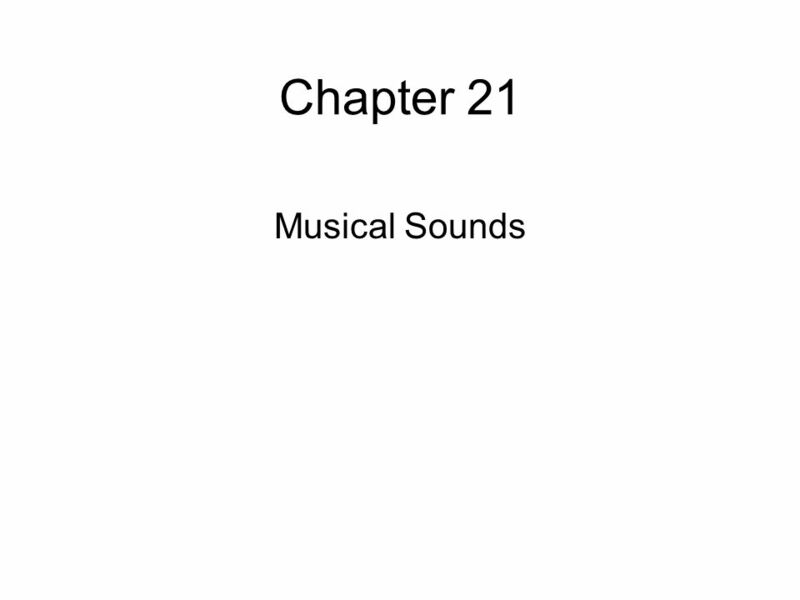 Download ppt "Chapter 21 Musical Sounds." © 2010 Pearson Education, Inc. 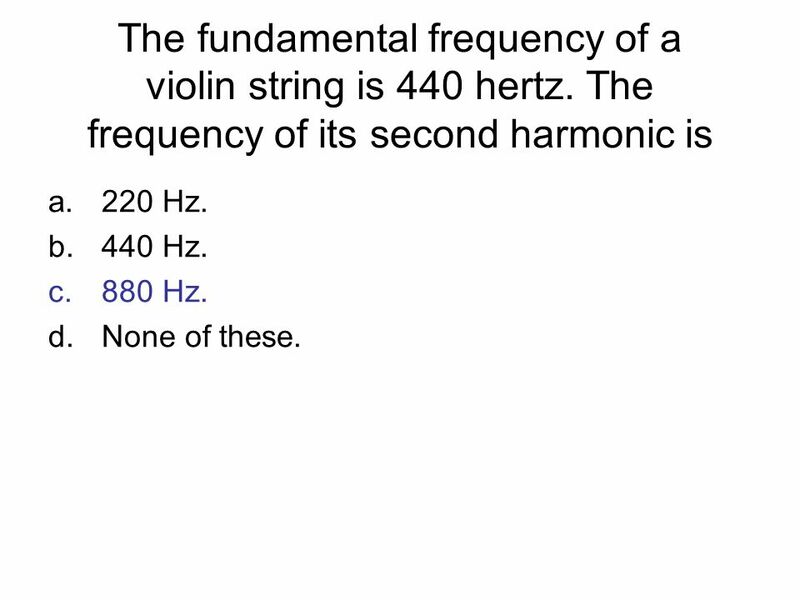 Conceptual Physics 11 th Edition Chapter 21: MUSICAL SOUNDS. 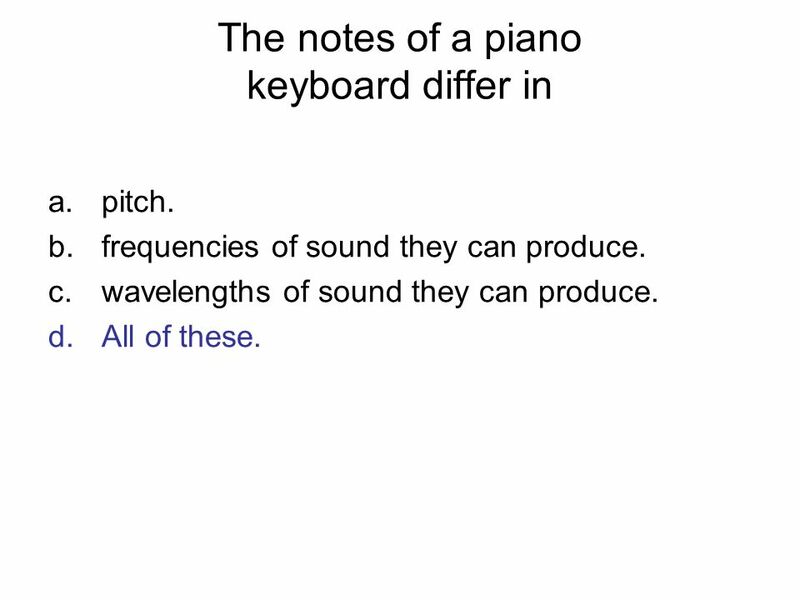 Musical Sounds Physical Science101 Chapter twenty Amanda Hyer. 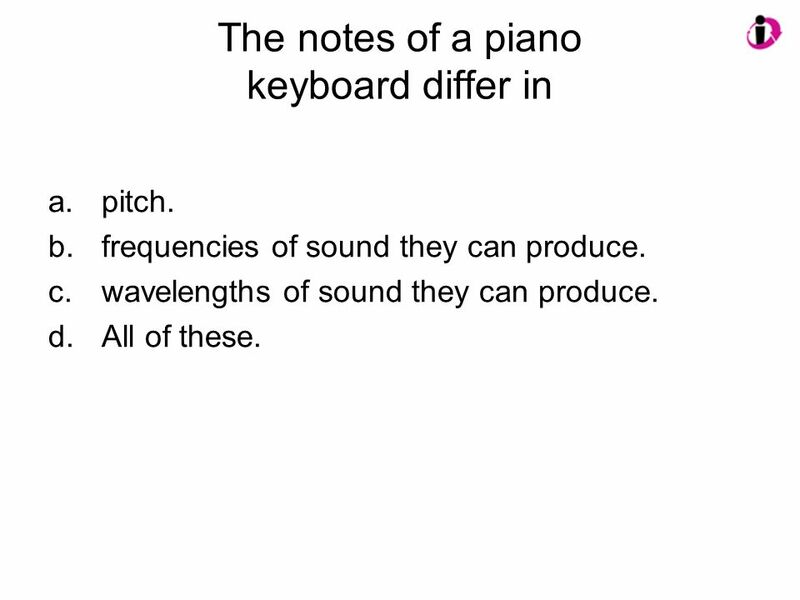 Sound Notes. The Nature of Sound Sound travels in longitudinal waves consisting of oscillating compressions and rarefactions through the air. Sound travels. Music and Mathematics are they related?. 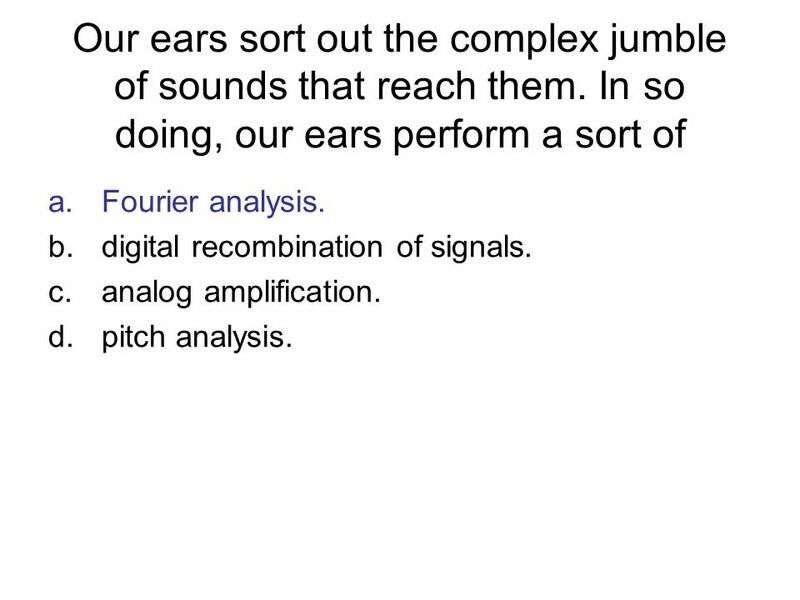 What is Sound? 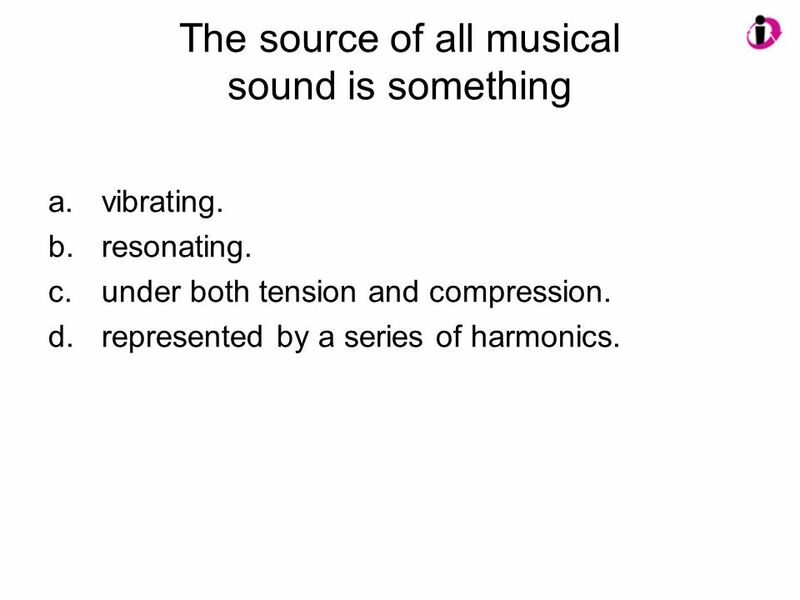 Sound consists of vibrations of the air. In the air there are a large number of molecules moving. 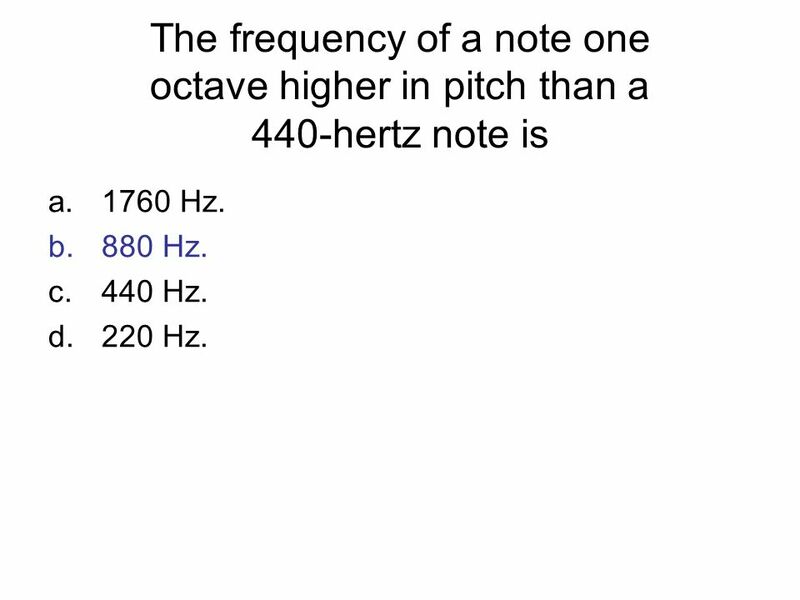 Harmonic Series and Spectrograms 220 Hz (A3) Why do they sound different? Instrument 1 Instrument 2Sine Wave. 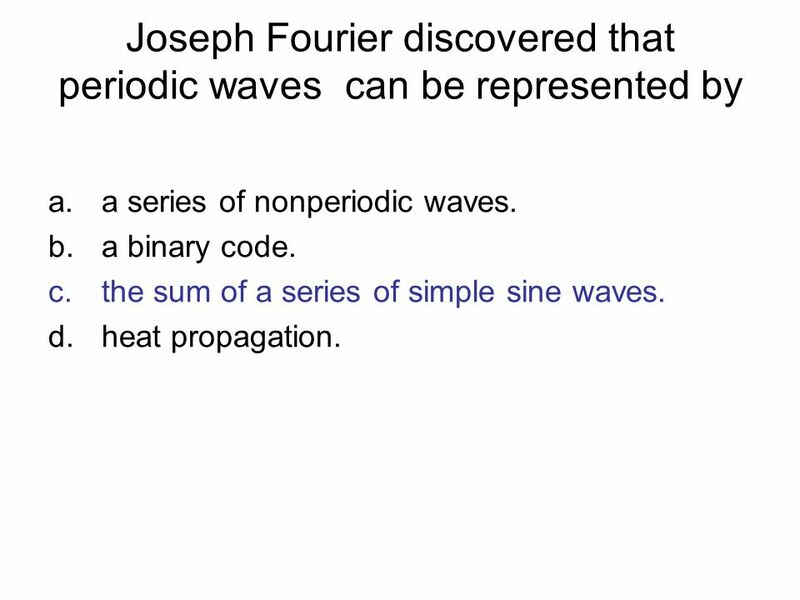 Properties of Sound Neil Freebern. Sound Sound is produced when something vibrates. Vibrations disturb the air, creating variations in air pressure. Variation. 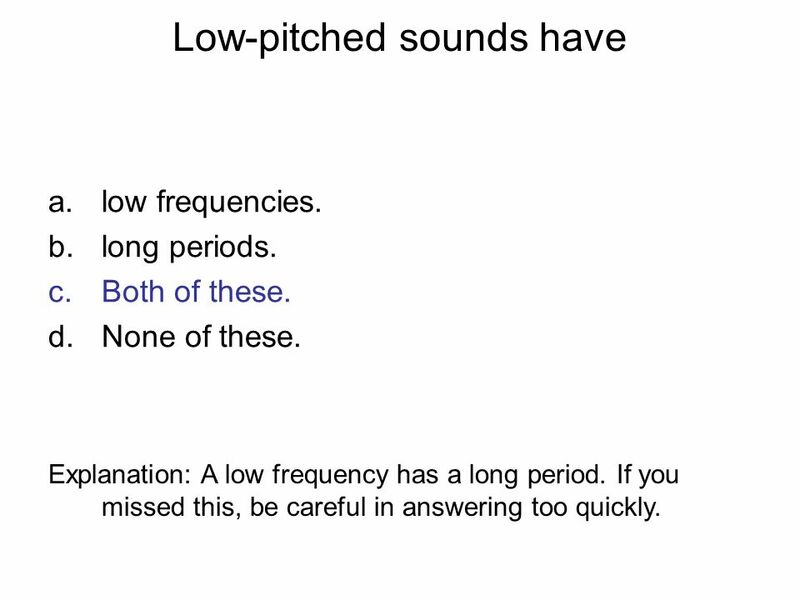 Properties of Sound EQ: How does intensity, loudness, frequency and pitch affect sound waves? 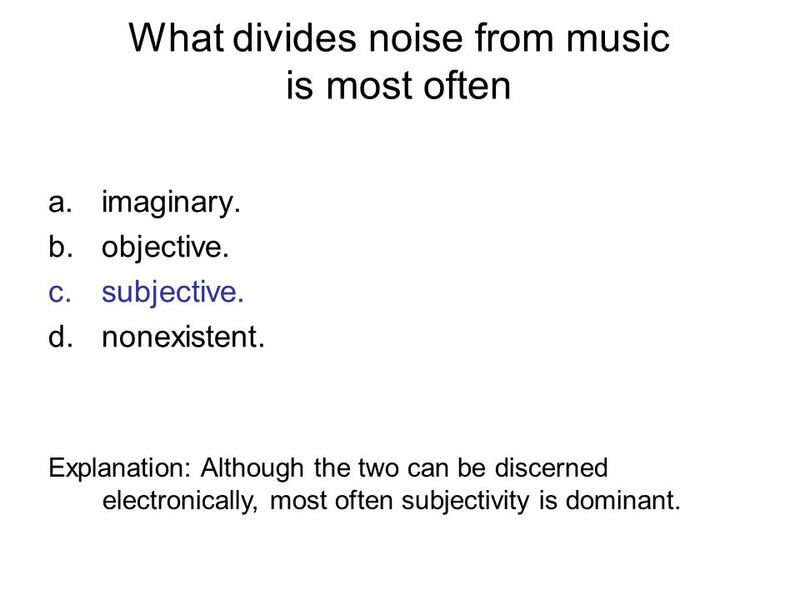 Sound waves and Perception of sound Lecture 8 Pre-reading : §16.3. © 2010 Pearson Education, Inc. 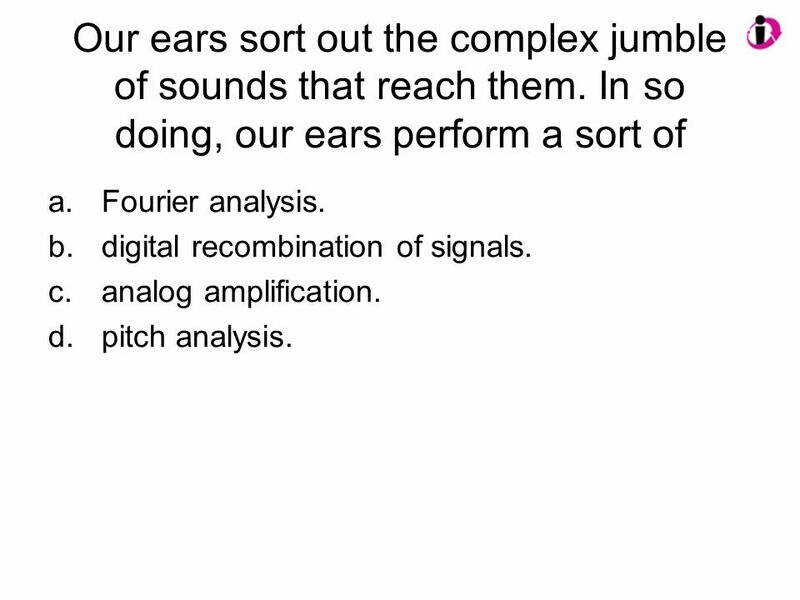 Conceptual Physics 11 th Edition Chapter 21: MUSICAL SOUNDS Noise and Music Musical Sounds Pitch Sound Intensity and Loudness. Chapter 13 Sound. 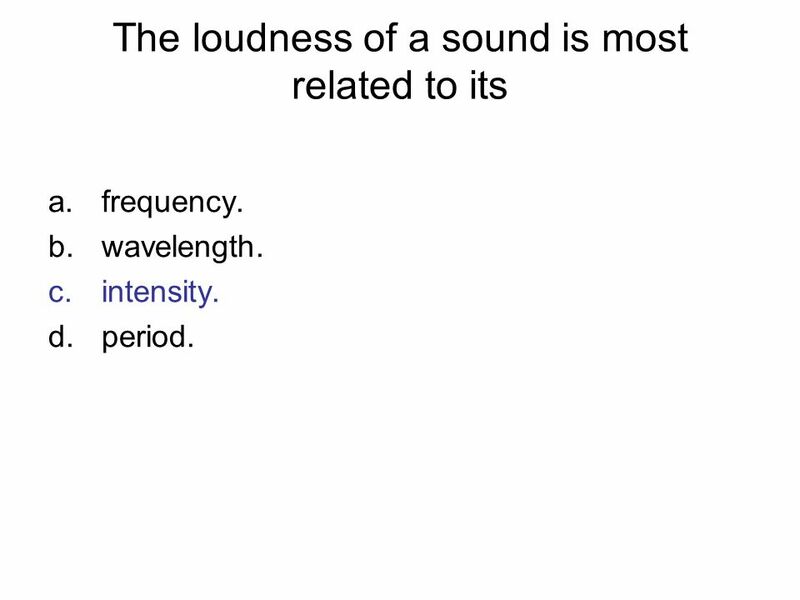 Sound is a compressional wave created by a disturbance or vibration that compresses molecules. 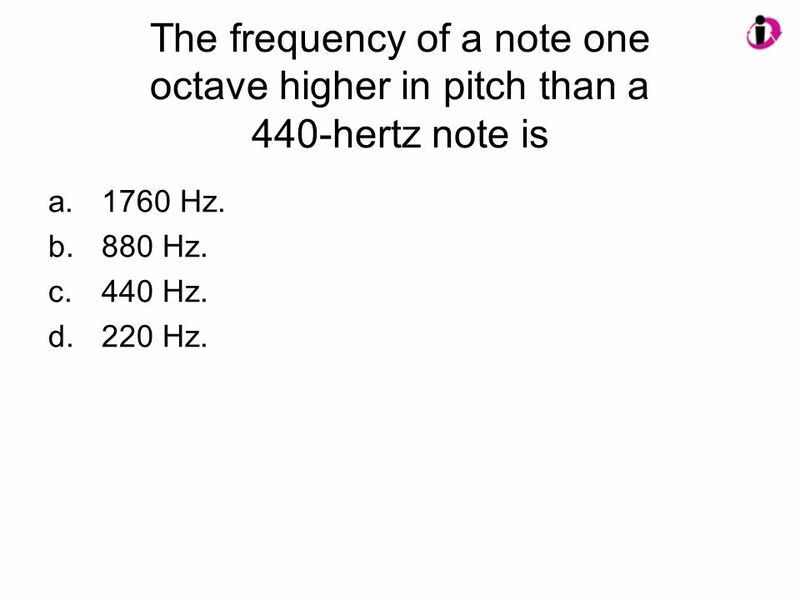 Chapter 21 Musical Sounds Noise Versus Music Pitch Pitch Loudness Loudness Quality Quality. 1.Sound must have a medium through which to travel. Through which medium – solid, liquid, or gas – does sound travel faster? 2.How are different musical. Big Idea: A form of ENERGY that spreads throughout space. Acoustics Waveform Frequency Intensity Resonance Sound Propagation. 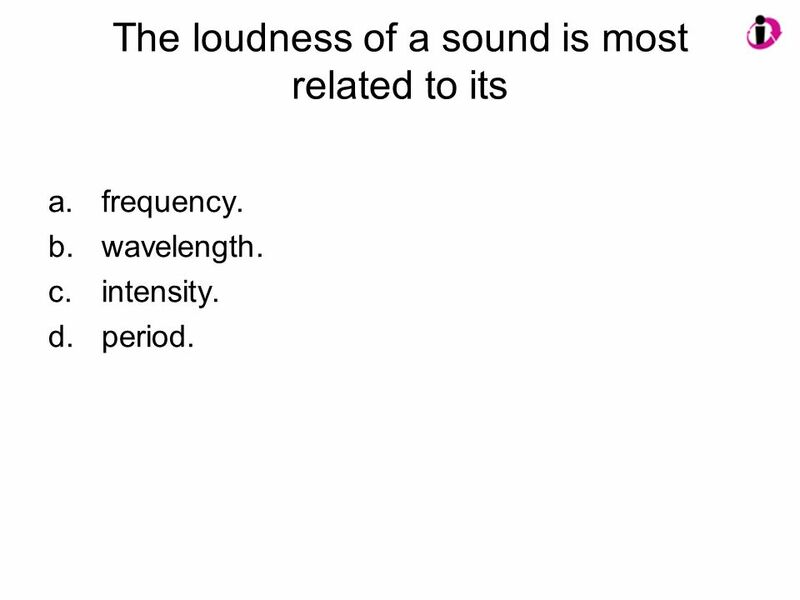 ~ Sound ~ The Nature of Sound  Speed of Sound  Human hearing  Doppler effect  “Seeing” with sound.